With the ability to search a product across various online shopping sites, Pricepirates brings best offers a consumer looks for. With filtering options and watch-list, this app enables you spend less. Highly recommended. The world has become more competitive for people and every businesses are trying to beat competition by giving offers for the products it sell. This brings prices down and assurance of more quality of products. Consumers are getting the benefits of the competition. But at the same time, some businesses still do not learn and always try maximize the profit. One such way, is offering end-of-season or stock clearance sales. They sell old stocks at prices almost near to new stocks, but for people it look like they are getting benefits. And looking for offers has become a habit of much people and businesses nearly use these habit for their own good. If somebody say there is a 15% off, we look to that product without knowing that retail price of the same product is still lower even without any offer at another store. 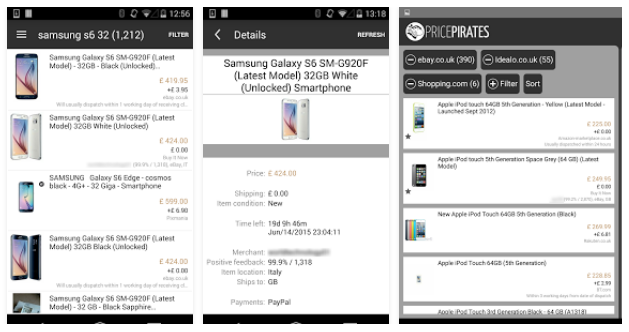 Metaspinner net GmbH understood this and to empower people again, they created an app called Pricepirates Price Comparison. 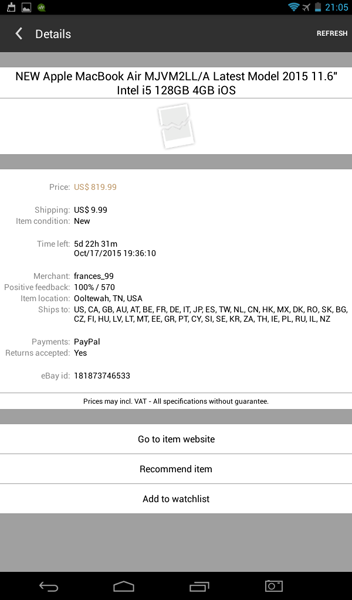 This Pricepirates app can compare a product price among a variety of online shopping sites like eBay, Microsoft Store, Quill, Mwave, Shopping.com etc. 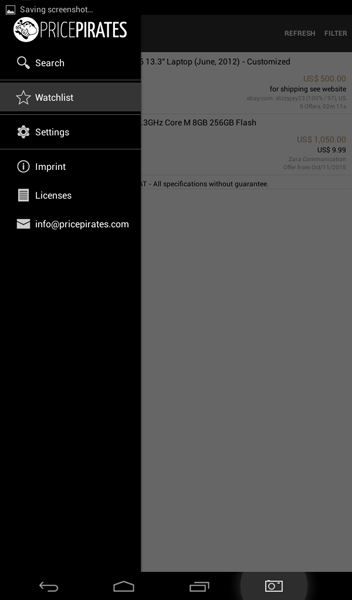 The Pricepirates app is available for Android powered phone & tablets. Note that it requires at least 4.1 version of the Android. The Pricepirates app is so lightweight as it is just 2MB in size. Now let us see how to use the app. The Pricepirates app opens with a screen that lists your earlier searches. You will get blank screen with menus for the first time. On the title bar, select the search menu and input a product or brand of the product and hit search. In a bit of time, you will get variety of results from various online shopping sites. You will surprised to see so many variations in the retail prices from store to store. Now you scroll down to find the lowest price. But how to quickly find the lowest, while the Pricepirates app gets & lists much larger list? They have provided filters. 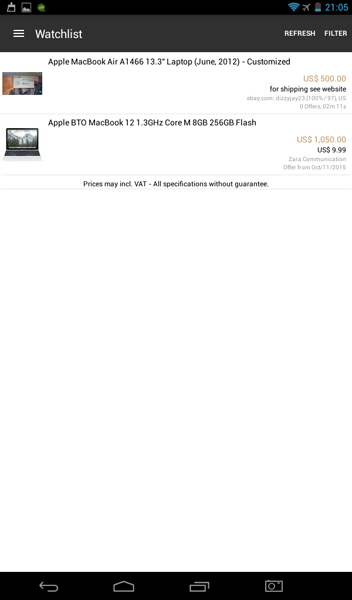 Just select filter and select “Price: lowest first” in Sort. 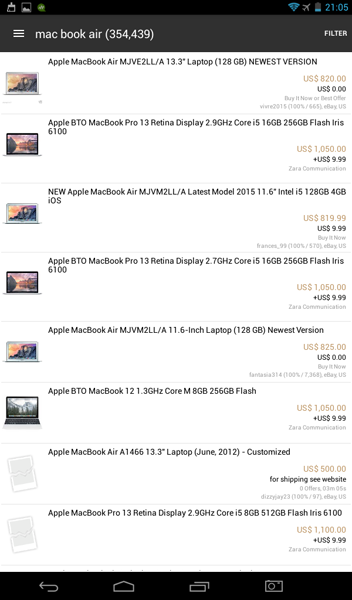 This will sort the result with lowest priced items coming to the top. There are other filters and you can also try them out. Pricepirates app also contains an in-built extensive database. This helps them to keep current price of a product and find whether any store is fooling people by selling at high prices (still calling discounted offers). 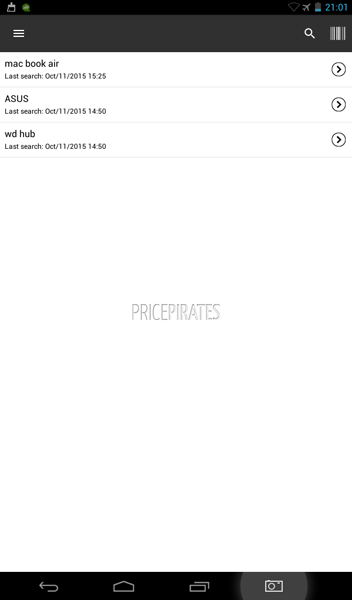 Pricepirates also has a watchlist section, which let you save product you wish to buy in future. One restriction of Pricepirates app is, it is only available for people who try to shop at countries like Germany, Austria, Switzerland, the UK and the USA. Hope they expand soon.